Guus Hiddink enjoys his luck, while Stoke City fans continue their persecution of Aaron Ramsey. The early signs are that Chelsea coach Guus Hiddink is a lucky manager. 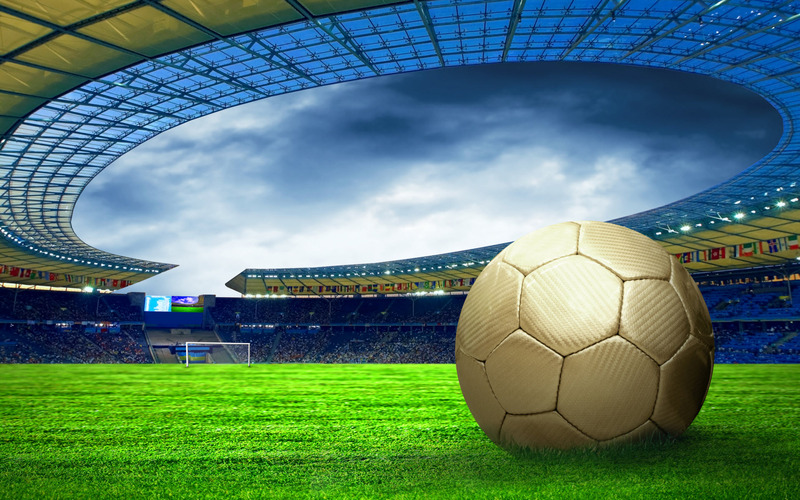 On that basis, you may feel that Chelsea have made a shrewd choice in recalling the Dutchman Guus Hiddink, fresh from his failure with the Dutch national team. I watched Chelsea’s somewhat bizarre draw 3-3 with Everton last Saturday. It was indeed an occasion to exhume that hoary cliché, a game of two halves. The first half was so dull and mediocre that you wondered how you would fill the space of your report. Just a single save by the keeper at either end. But almost from its beginning, the second half was eventful almost to excess. John Terry would score at either end, the first time unluckily against his own team, the second almost at the death the breathless equaliser when he was indisputably offside, a fact ignored both by the referee and the relevant linesman. Another vital Chelsea goal came when in a moment of panic the Everton keeper Tim Howard came thundering out of his charge, ran full tilt into his centre back Jagielka leaving them both prone on the ground and giving Costa surely the easier walk in goal he is ever likely to get. For much of that half Everton played much the better more fluent football and throughout it, till he was surprisingly substituted. Everton’s young Ross Barkley was a commanding and adventurous figure in midfield. So much so that I asked his manager Martinez why he had decided to substitute him. The somewhat unconvincing answer was that he had 19 players available and wanted to use them. 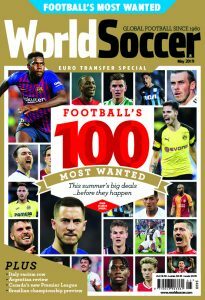 Roy Hodgson, who was watching, must surely have been impressed by a player he has long tended to damn with faint praise, accusing Barkley of a tendency to excessive exuberance, losing the ball and thus exposing his team to counter attack. Excessive caution? Sometimes you wonder how horribly low today’s fan can sink. West Ham’s, making gassing noises behind a Tottenham goal to invoke the gas chambers though a stop has mercifully been put to that. Those many years of making a sick joke of the Manchester United airplane crash at Munich in 1958: “Who’s that lying on the runway and all that callousness. And now the Stoke fans making a sick joke of the horrific injury inflicted on Arsenal’s Aaron Ramsey by the Stoke centre back Ryan Shawcross, a shocking assault, for that was what it was, which put Ramsey out of the game for nine months and could so easily have ended Ramsey’s bright career. 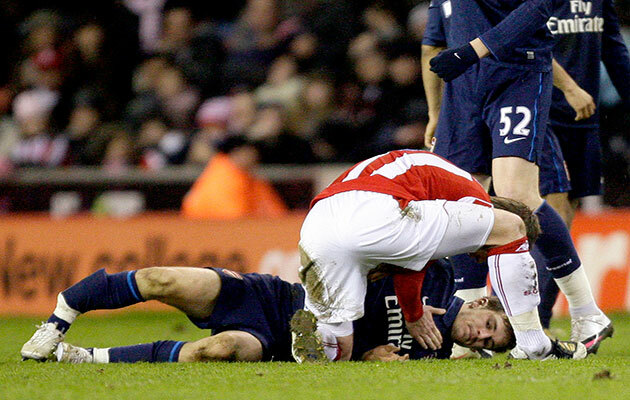 Aaron Ramsey is consoled after having his leg broken by Ryan Shawcross. In a properly ordered football world, the miscreant should surely be ruled out of football till his victim has recovered. It is enormously to Ramsey’s credit that he has been able not only to recover from that injury, but to retrieve his old impressive form. Never so memorable as in that Cup Final at Wembley when he was brought on as a seriously belated substitute for Cardiff City against Portsmouth ad a mere teenager looked the best player afield. 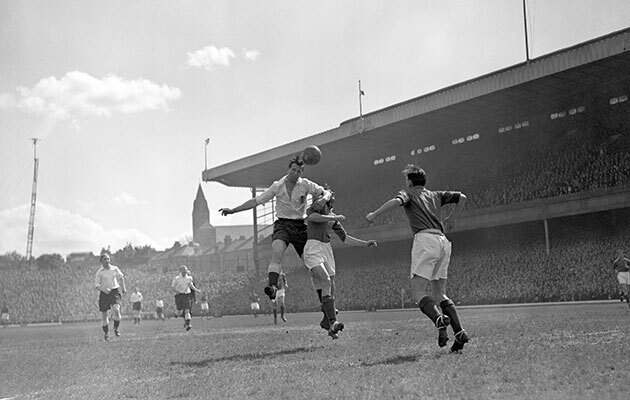 Tommy Lawton in action for England against Scotland. Such pathos in the recently published exchange of letters, some them alas begging letters, between Tommy Lawton, among the finest of all England centre forwards, and Richard Attenborough, a fine actor and a highly successful film director. Essentially Lawton was desperately down on his luck and in urgent need of money which Attenborough had given him but was not too keen to advance him again. It is bitterly ironic to think that had he been playing today in the Greed Is Good League, he would be a multi-millionaire. In some ways his was a curious playing career. Beginning at Burnley, being it seems – he never spoke or wrote about it – being brought up in a fatherless Bolton home, he went on to precocious triumphs with Everton and England, for whom he scored abundantly during the war when statistics didn’t ultimately count. He once got four against Scotland in Manchester and a couple for Britain against the Rest of Europe at Hampden in May 1947. He’d gone to Chelsea in 1945 and left them in still mysterious circumstances to join Notts County then in the Third Division South. Money must have played a part in it, but it never seemed to make such sense. He would later turn out for Brentford and even briefly with Arsenal. Poverty alas would follow, and there was an alarming episode when it seemed he might even got to gaol for financial offences. Luckily it didn’t happen. I saw him play and score in the first professional match I ever attended, at age 10, against Scotland at Wembley. England won 3-0. Scotland’s wing halves were Bill Shankly and Matt Busby. To no avail. Brian Glanville is the author of The Man Behind The Goal, a collection of short stories published by WSC.